Building Drawing and Its Types. [A Comprehensive Guide]. 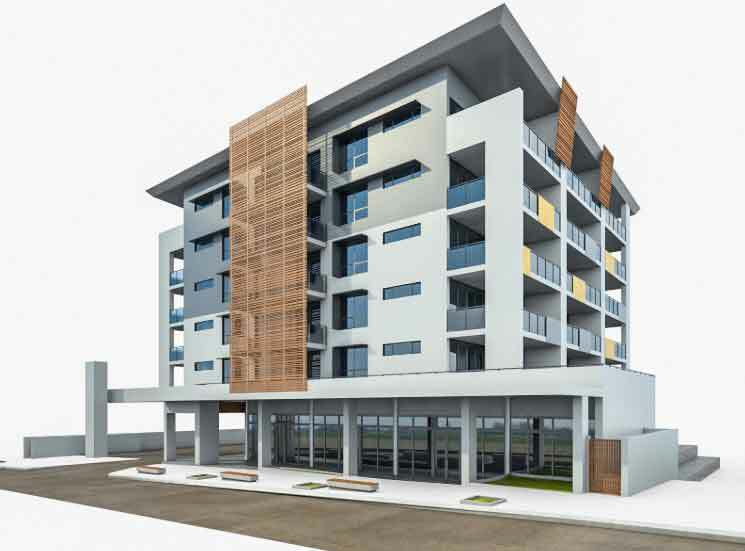 In Building Construction, building drawing plays an important role. If you don’t have the sufficient knowledge of drawing, then its almost impossible to construct a building. Drawing is the Backbone of Civil Engineering. 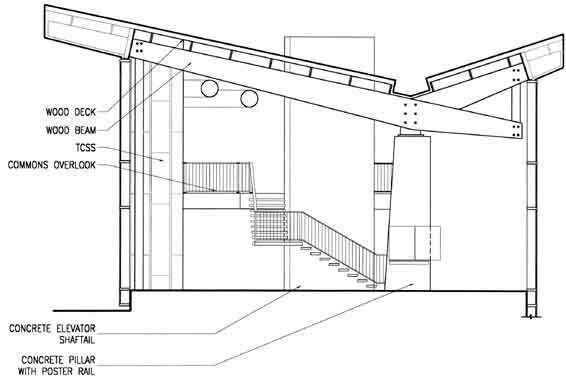 Characteristics of Sectional Elevation Plan. A drawing is prepared before constructing any building. Generally, a drawing is needed for every building, but the drawing of a big building is very important. Because, the constructional details of a small building may remain in the mind of someone, but such details of a big building cannot remain in the control of anyone. Different people construct different parts of a big building. They all should have drawings concerning them. The drawing of a building is prepared first, and then its approval is to be had from the Local concerned Authority. The drawing of the building should be in accordance with the Bye-Laws of the Local Body. Every Local Body has made some rules by considering the health of people and environment of the locality. These are called Bye-Laws of the concerned Authority. Various sketches are prepared for the building drawing. 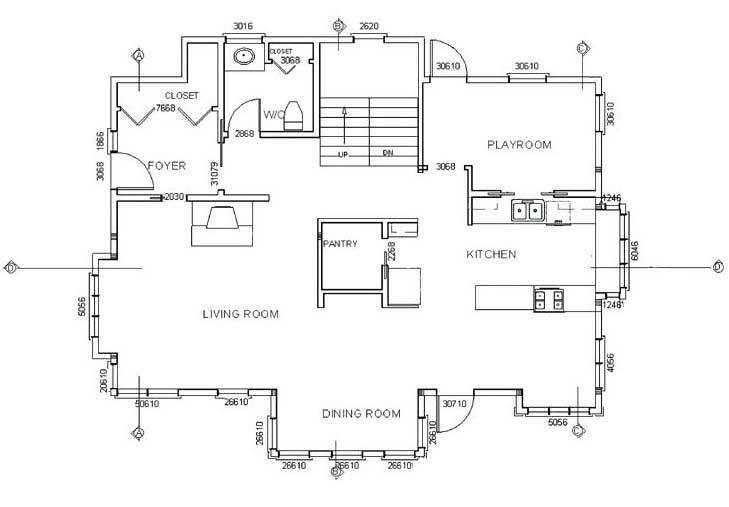 First of all, a single line sketch is prepared showing size and arrangement of rooms according to their importance and type. This is called the Line Plan. An architect or engineer prepares this sketch. 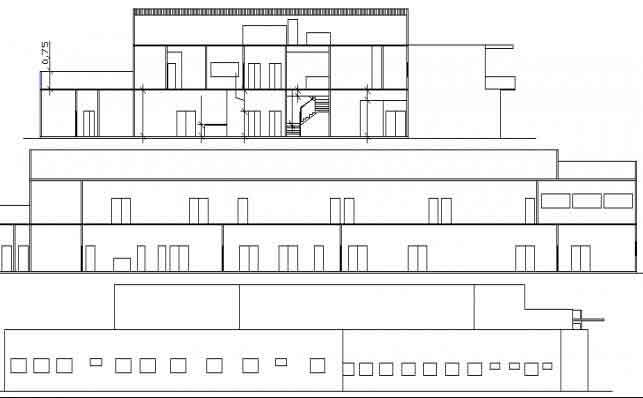 Another detailed drawing is prepared with the help of this line plan which is prepared by a draftsman. 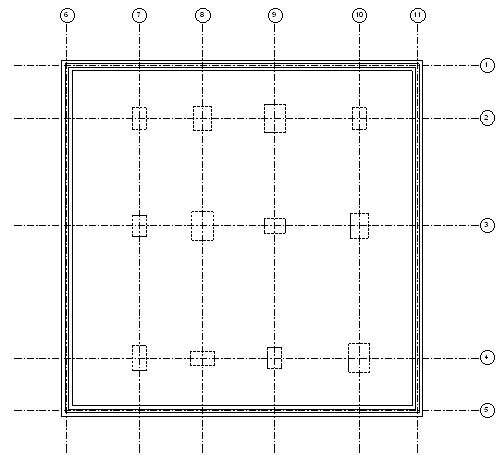 In this detailed drawing, the detailed plan is to show the detail of order, size, and thickness of the walls of the rooms. The elevation is to show the front view, and Cross-section is to show the inner detail of the rooms. Separate working drawings are prepared for electricity, gas, water supply, and sewerage, etc. In addition to this, the submission drawing is prepared to get the approval of the Municipal Corporation or other concerned Development Authority like (F. D. A), (C. D. A), (L. D. A), etc., according to their Bye-Laws. This drawing contains details like Index Plan, the cross-section of walls, detailed plan, elevation, cross-section, floor, and roof, etc. It also contains the detail of sizes of doors, windows, specifications, and other constructional detail. Before studying the detail of building drawing, some information about the purpose and types of building drawing is necessary. Some types of the building drawing is discussed in the below video. Don’t forget to watch it. 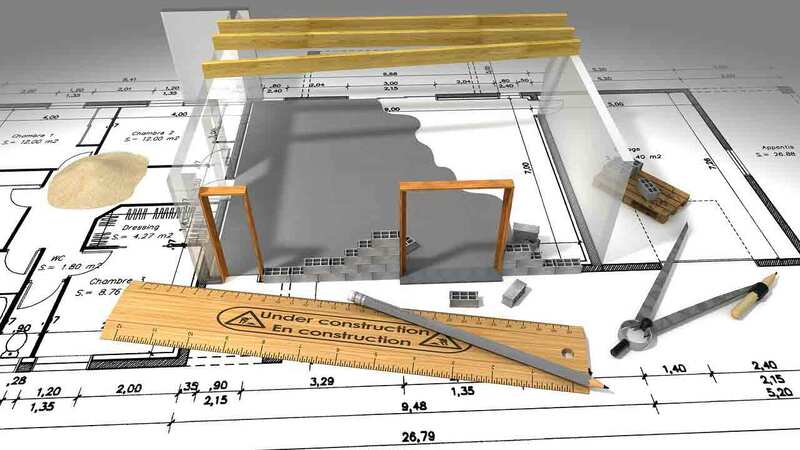 Different building drawings are prepared taking into consideration the features and dimensions of building as follows. 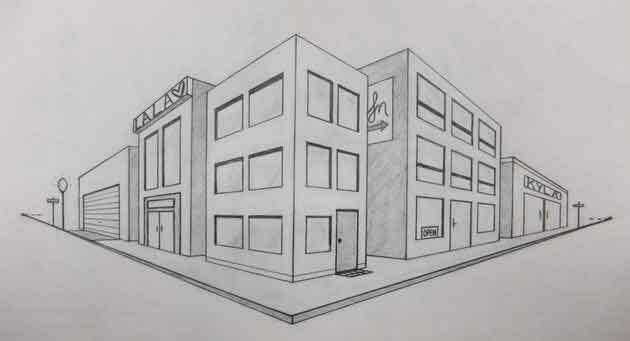 In this sketch, the specific plot for the building is shown. In this type of building drawing, is shown the where-about of the plot numbers, the name of the owner of the building, name of streets, and other important buildings. The breadths of streets and roads are also mentioned. The dimension of the plot is also written in the sketch. North direction is marked there as well so that the plot can be easily located. This drawing is prepared in the scale of 10 m = 1 cm (100 ft = 1 in.). Only the boundary lines of the plot are shown in such sketch not the detail of internal rooms. The area of the plot is colored, or it is shaded so that this plot may look different from other plots. In this drawing, the position and size of internal rooms are given. Such drawing is prepared with a single line. The thickness of the walls is not shown in it. In fact, such drawing is prepared by some architect. Then the remaining drawing is prepared with the help of this drawing which is prepared by a draftsman. i. The dimension given in the rooms is their internal ones which do not include the thickness of walls. ii. The dimension given outside the rooms is their extremal ones which include the thickness of walls. iii. The first dimension represents a horizontal dimension of the room while the second one normal to the horizontal. iv. To represent the height of a room, it is written in a circle. v. The doors and windows are represented in the related places with size. In this type of building drawing the size, arrangement, and position of rooms and veranda is shown. The thickness of the walls is also shown in it. This plan is prepared with the help of the line plan. While planing this plan, it is taken into consideration that the level of the floor of the whole building is cut at the height of 1 to 2 meter horizontally. The drawing has been prepared after cutting it. In the case of a multi-storied building, the detailed plan of every story should have been prepared separately. Moreover, every plan has been named after its story. Similarly, Basement floor plan for the story at the basement. After the preparation of this plan, the various services of it, like the wiring of electricity, gas, and water are shown. Following are the characteristics of this plan. i. The size and position of the rooms are shown in it. ii. The size and places of doors and windows are shown in it. In addition to this, their types are also given. iii. The internal arrangement of the luggage of rooms is also represented. For example, the places of beds place of a burner in the kitchen. iv. The Places of fireplaces are also shown. This type of building drawing is prepared to show the detail of the foundations of a building. The whole place and size used in the building are shown in this plan. This plan is prepared with the help of the detailed plan in which, lines are drawn according to the projections of the foundation parallel to the center line of the wall. Then this plan is prepared. i. The dimensions recorded in it are internal dimensions of the room. ii. The dimensions recorded outside the room is the external measurement of digging. iii. The center line of the walls is also shown in it. iv. 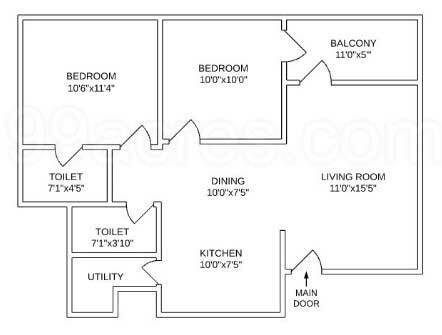 The size and places of doors and windows are not shown in it. v. The breadth of the wall and that of the foundation is shown in it. Read Also: A Comprehensive Guide on Concrete Frame Structure Building. In this type of plan, space left after the construction of the building. 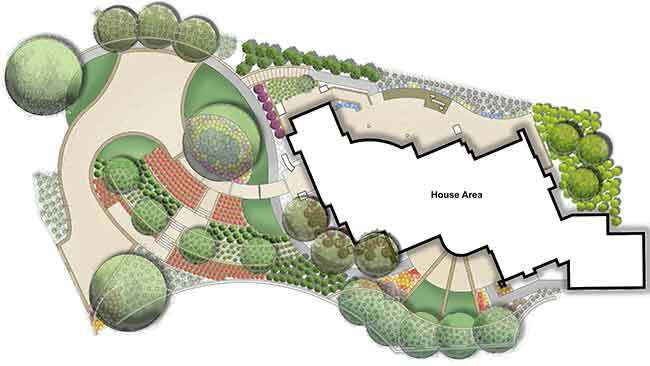 It is decorated with flower beds, grassy plots, and other plants. In this plan, the external part of a building is beautified. For this plan, the scale 1 cm = 1 m to 2 m is used. Many things are shown in it. Every thing is not given a separate symbol but are represented by letters of the alphabet and explained with the help of a table. i. Demarcation of the plot. ii. Arrow is showing the North Direction. iii. Limit of covered area. In this types of building drawing, the vertical view of a building is shown. If the front view is shown, it is called front elevation. If the back view of the building is shown, then it is called back elevation. In the same way, if one side view of the building is shown, then it is called side elevation. The scale for elevation is used according to the detailed plan. Following are the characteristics of the Elevation. i. The view of the building is shown above the ground level. ii. The length, breadth, and height of a building are shown in it. iii. The sizes of doors and windows are also shown in it. iv. Different Stories of a multi-storied building are shown simultaneously in it. v. The internal detail is not shown in the elevation plan. Read Also: 9 Different Types of Pipes for Plumbing and Water Supply. The internal detail is shown in the sectional elevation plan. This view is shown by cutting the drawing by a cutting plane line, and the detail of the required part is shown. The detail of a building from the foundation to the parapet is shown in it. All the principle used in the elevation plan are also used to prepare this view. If the building is big, then it is divided into various sections to show their detail. The place when detailed elevation is required, a cutting line is drawn there. This line is drawn straight. If the detail of different places is desired, then the line is rotated through a 90-degree angle and is brought to those places. Such a section is called an offset section. Arrow-heads are inserted at the ends of the cutting line and pointed toward the direction whose detail is required. i. The detail of foundation is shown in it. ii. Full detail as ground level, plinth level, detail of floor and roof is given in it. iii. Full detail of roof is given. Different details of different roofs, if any, are shown. iv. Thicknesses of walls are shown in it. In case the doors and windows come under the cutting line then they are shown as cutoff. v. The things which are not cut in the cutting line they are shown like elevation. The shape of a perspective drawing resembles that taken with a camera. The true shape of an object appears in the perspective drawing. Since the true picture of an object appears in this drawing so a common man can understand it easily. Such drawing is prepared generally for important buildings so that the owner of‘ the building and other concerned authorities, who are not actually technical, could easily understand it. In this drawing, an object is shown by one point. Therefore, the horizontal lines do not seem parallel, but it feels to be concurrent at a point. Following are the characteristics of perspective drawing. i. The actual dimension of an object is not shown in it. ii. The shape of an object is seen as it is. iii. Horizontal axes look horizontal in it. iv. The horizontal lines of the object seem to be concurrent at a point which is called Vanishing Point. v. Vertical axes look vertical in it. A drawing is prepared for a building which is to be constructed. This drawing is prepared under the Bye-laws set by some competent authority. Such drawing which is prepared for the approval of the authority is called submission drawing. The concerned authority may be Municipal Corporation, Development Authority, etc. Following are the information and drawings in submission drawing. v. X-section of a wall. vi. Detail of Doors and Windows. Read Also: Components or Parts of a Staircase and Stair. Models are prepared for important buildings after preparing their drawings. This method helps much in understanding a building. The difficulties expected to be felt in the construction and usage can be guessed before hand. Suitable amendment in the drawing can be made to remove such difficulty. The internal and external detail of a building is much explained in the model. Following are the characteristics of the Model. i. The true shape of the building is viewed. ii. Elevation of the building is seen clearly. iii. Internal detail of the building is explained well. iv. Even a common man can understand the model. v. The merits and demerits of a building appear in a model before its construction.